Could Efforts to Modernize Mortgage Practice Lead to Changes in SC Law? Reuters reports on a “patchwork of state laws” that hinder efforts. In an article dated September 9, Reuters reports that the practice of notarizing documents, which dates back “at least to Ancient Rome” is becoming “passé” in the era of FaceTime, Skype and live-streamed social media. South Carolina real estate lawyers might want to take deep breaths and read the article, which is linked here. South Carolina practitioners are banking on State v. Buyers Service, our seminal case from 1987 holding that closings are the practice of law, to keep us in the closing business. Buyers Service is still good law in South Carolina and has been cited favorably many times and as late as this year. The South Carolina Supreme Court has repeated in almost every case on point that the purpose of requiring lawyers to be involved in closings is to protect consumers. The Reuters article suggests that the effort to modernize mortgages would also protect consumers. One borrower in the story, a civilian paramedic at a military base in Kuwait, was forced to fly 6,500 miles to buy a house in Virginia. Webcam notaries would cut expenses for lenders, notaries and borrowers, the article suggests. Are the two efforts to protect consumers diametrically opposed? No doubt, South Carolina lawyers could be on one end of the webcams. I encourage all of us to read the news and to pay attention to how closings happen in other parts of the country and to continually think of ways to modernize our practices. Keeping up with technology can only contribute toward keeping a real estate practitioner in the closing game. Following these cases is like watching a tennis match! This is the third blog on this topic this summer! The June 7 blog surrounded a South Carolina Court of Appeals case* that held an arbitration clause in a roofing supplier’s warranty provision was not unconscionable. The lower court had ruled that the supplier’s sale of shingles was based on a contract of adhesion and that the injured property owners lacked any meaningful choice in negotiating the warranty and arbitration terms, which were actually contained in the packaging for the shingles. Let’s Talk Dirt on July 14 addressed a South Carolina Supreme Court case that appeared to take the opposite approach. ** A national residential construction company’s contract contained a number of “oppressive and one-sided provisions”, including an attempted waiver of the implied warranty of habitability and a prohibition on awarding money damages of any kind. The Supreme Court held that the home purchasers lacked a meaningful ability to negotiate their contract, the only remedy through which appeared to be repair or replacement. Note that Justices Kittredge and Pleicones dissented, stating that the contract involves interstate commerce and, as a result, is subject to the Federal Arbitration Act (FAA), “a fact conspicuously absent in the majority opinion”. The dissent stated that federal law requires that unless the claim of unconscionability goes to the arbitration clause itself, the issue of enforceability must be resolved by the arbitrator, not by the courts. The majority construed the Warranties and Dispute Resolution provisions of the contract as comprising the arbitration agreement and thus circumvented controlling federal law, according to the dissent. Since the property owners raised no challenges to the arbitration clause itself, the dissent would have required that the other challenges be resolved through arbitration. In a case dated August 17***, the majority decision is written by Chief Justice Pleicones with Justice Kittredge concurring. (Do you see a pattern here?) This case involved a residential subdivision that had been built on property previously used as an industrial site. The developer had demolished and removed all visible evidence of the industrial site and removed underground pipes, valves and tanks. 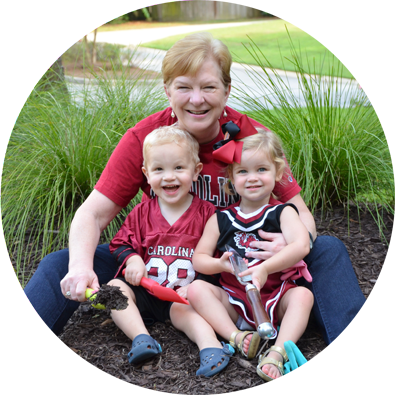 The plaintiffs bought a “spec” home in the subdivision and later discovered on their property PVC pipes and a metal lined concrete box containing “black sludge”, which tested positive as a hazardous substance. The present lawsuit was brought, alleging the developer failed to disclose the property defects. The developer moved to compel arbitration. Paragraph 21 of the purchase agreement stated that the purchaser had received and read a copy of the warranty and consented to its terms. The purchasers had been provided with a “Homeowner Handbook” containing the warranty. it was located within the warranty booklet, making its scope limited to claims under the warranty. The Supreme Court held that the plain and unambiguous language of the arbitration clause provides that all claims, including ones based in warranty, are subject to arbitration. The alleged outrageous tortious conduct of the developer in failing to disclose concealed contamination made the outrageous torts exception to arbitration enforcement applicable. The Supreme Court overruled all South Carolina cases that applied to outrageous torts exception, making that exception no longer viable in South Carolina. The Supreme Court discussed the heavy presumption in favor of arbitration by the FAA and in the federal courts and the push to place arbitration agreements on equal footing with other contracts and enforce them in accordance with their terms. You won’t be surprised to learn that there was a dissent, this time by Acting Justice Toal, and a concurrence, by Justices Hearn and Beatty. And remember that the CFPB recently announced a proposed rule that would ban financial companies from using mandatory pre-dispute arbitration clauses to deny consumers the right to join class action lawsuits. All of these authorities affect matters involving dirt law. So the tennis match involving arbitration clauses in our area is still being played, and we will continue to watch! Court of Appeals Refuses to ‘Horse Around’ with Zoning Appeals Decision. 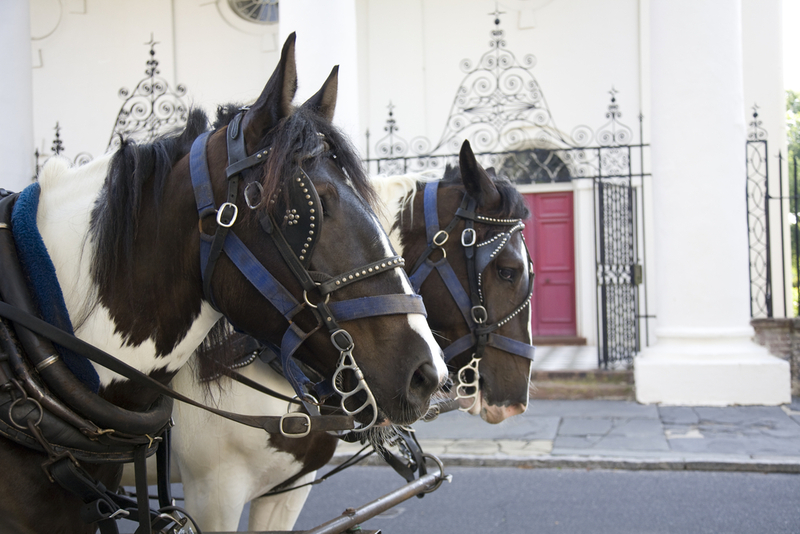 Will some Charleston carriage horses be evicted? Condominium projects take on all shapes and sizes in beautiful, historic, downtown Charleston, where the population of tourists and residents increases daily. An old historic house may maintain its white-columned exterior while housing four or six residential condominium units. The stately carriage house out back may be a separate unit. An office building may look like any other brick-façade four-story building from the exterior, but the interior may contain a courtyard complete with fountains, and each office may be an owned separately as a condominium unit. A residential lot may be subject to a restriction covenant that prohibits subdividing, but a creative developer may use a Horizontal Property Regime to create multiple units anyway. The Charleston Board of Zoning Appeals had denied the application of Arkay for a special use exception to operate a carriage horse stable at 45 Pinckney Street in the historic City Market District. The property was located within 93.5 feet of a residential district, and the special exception required a separation of 100 feet. To separate the “stabling activity” from the residential district, Arkay proposed an HPR to divide the building into two units. The rear portion of the building would house Unit A which would consist of six stalls in which the horses would be fed, groomed and stored. The front portion of the building would house Unit B which would consist of two offices and would be subject to an appurtenant easement for the benefit of Unit A for ingress and egress to Pinckney Street. Unit B would also be subject to a restrictive covenant prohibiting the use of that space as a stable. Units A and B would be separated in the middle of the building by a common area consisting of two tack rooms, two restrooms, an area for customer waiting, and an area for customer loading and unloading. Because its horse stalls would be located 119 feet from the nearest residential zone, Arkay contended the stabling activity complied with the zoning ordinances separation requirement. Arkay’s argument was based on the premise that the zoning ordinance’s use of the word “stable” described a use and not a physical structure. In rejecting this argument, the Board noted that only one building occupies 45 Pinckney Street, and the proposed HPR did not alter that circumstance. On appeal, the Circuit Court held that the separation requirement applied to the use, not the physical structure. The Court of Appeals agreed with the Board, stating that the ordinance did not describe “uses” for the property but rather established prerequisites on how a stable must be configured and how it must operate to receive a special use exception. Because the building that would keep the horses encompasses the entire lot, the Court found that it is a stable for the purposes of the ordinance. Even though the horses would be kept in the rear of the building—and would be separated from the street by areas for customers, tack rooms, restrooms and offices—this does not change the building’s status as a stable, according to the Court. Maybe the Supreme Court will see it another way, because who doesn’t love a horse-drawn carriage ride in historic Charleston? *Arkay, LLC. v. City of Charleston, South Carolina Court of Appeals Opinion 5419, June 29, 2016. A Midlands landowner is forced to abandon his stinky property, and the SC Court of Appeals says Insurance Reserve Fund doesn’t need to pay. The South Carolina Court of Appeals held on March 23 that the South Carolina Insurance Reserve Fund (the Fund) has no duty to defend or indemnify East Richland County Public Service District (the District) in connection with a claim by a property owner of inverse condemnation, trespass and negligence resulting from offensive odors*. In 2010, Coley Brown filed a complaint alleging the District had installed a sewage force main and air relief valve which released offensive odors on his property multiple times a day. A District employee testified that a force main had been installed as a part of a larger project that included two nearby pump stations. The pump stations were designed to pump sewage through the force main when the sewage reached a certain level. Depending on the area’s water usage and weather, the pump stations might turn on as often as ten times per hour. The odor was a result of naturally occurring hydrogen sulfide-which smells like rotten eggs-and methane. In response to the complaints, the District made several attempts to remedy the odors, including using a chlorine-based chemical, installing charcoal filters, and eventually using a granulated chemical media. When the District failed to cure the problem, Brown moved to a different location but was unable to sell the stinky property. The District tendered Brown’s complaint to the Fund pursuant to its insurance policy, but the Fund denied coverage. Under the policy, the Fund is obligated to pay damages resulting from property damage caused by an occurrence, defined as an accident, including continuous or repeated exposure to conditions, which result in personal injury or property damage neither expected nor intended. The policy has a “pollution exclusion” that refers to gasses and fumes. The Circuit Court found that the Fund had no duty to defend or indemnity the District in the underlying case, finding the policy’s policy exclusion to be valid despite the District’s argument that the exclusion conflicts the South Carolina Tort Claims Act. The Court of Appeals reviewed the Tort Claims Act and found no conflict. The Court also reviewed cases from other jurisdictions holding that foul odors are encompassed by such pollution exclusions. The District then argued that an exception to the pollution exclusion applies if the discharge, dispersal, release or escape of pollutants is sudden and accidental. The Court was not persuaded by this argument, indicating the releases were not accidental and unexpected, but were a necessary function of the District’s normal operations. 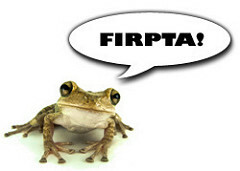 Don’t Forget Significant FIRPTA Changes! 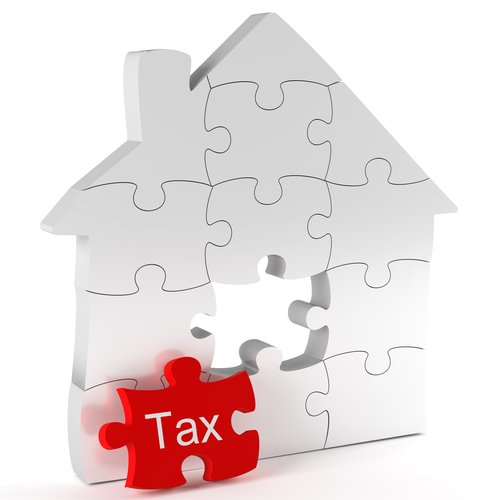 South Carolina real estate practitioners have the pleasure of dealing with two distinct sets of tax withholding laws, one for income of non-residents of South Carolina to be reported to the S.C. Department of Revenue, and the other for the income of “foreign persons” to be reported to the IRS. The Federal law, Foreign Investors in Real Property Tax Act (FIRPTA), saw some significant changes effective for closings on or after February 16 of this year following President Obama’s signing into law the Protecting Americans from Tax Hikes Act of 2015 (the “PATH Act”) late last year. New exemptions to FIRPTA codified by the PATH Act may encourage the flow of capital into the United States. Under the PATH Act, when withholding is required, the amount to be withheld has changed, in most cases, from 10% to 15%. If the property will not be used as the buyer’s primary residence, the withholding rate is 15% of the amount realized, and reporting is required. If the property will be used as the buyer’s primary residence and the amount realized is $300,000 or less, no withholding and no reporting are required. If the property will be used as the buyer’s primary residence and the amount realized exceeds $300,000 but does not exceed $1,000,000, the withholding rate is 10% of the amount realized, and reporting is required. Regardless of the buyer’s use of the property, if the amount realized exceeds $1,000,000, then the withholding rate is 15% of the amount realized, and reporting is required. Real estate practitioners, sellers, buyers and others with questions concerning FIRPTA compliance should consult tax advisors. Letter to CFPB asks for clarity. American Land Title Association’s January issue of TitleNews reports that ALTA reached out to the Consumer Financial Protection Bureau by letter dated Nov.23, asking for clarity in three areas of the TRID regulations. The first area of concern is generating a great deal of angst among South Carolina closing attorneys, that is, the attempt by lenders to shift liability to settlement agents for all compliance issues, including compliance with the new federal law. Here in South Carolina, we are seeing modified closing instructions that explicitly shift this liability to closing attorneys and often include indemnity language. The attorney is being asked to indemnify the lender for the liability the federal law has clearly imposed on lenders. By the way, I urge South Carolina real estate lawyers to become members of the South Carolina Bar’s Real Estate Section. The Real Estate Section provides its members with access to its Listserv, which can be found at realestatelaw@scbar.org. The forum is a great place for South Carolina real estate lawyers to share ideas and frustrations as well as a place to seek information and advice from peers. The frustration of real estate lawyers regarding this issue is obvious in that forum. It is a great place for lawyers to share their ideas as well as their frustration. Michelle Korsmo, ALTA’s Executive Director, said in the Nov. 23 letter to the CFPB, “These instructions are in contrast to the clear public policy underpinning this rule, as well as language in the rule stating that lenders bear ultimate liability for errors on the Closing Disclosure form.” According to TitleNews, ALTA provided the CFPB with several examples of the offending closing instructions. The second area of concern is the disclosure of title insurance premiums on the Closing Disclosure and particularly the very odd negative number that appearing for the cost of owner’s title insurance. The calculation methods of the CFPB seem to be dictating this negative number in many cases, but in what world is that logical? And how does that negative number supply clarity to consumers? The third and final area of concern expressed ALTA’s Nov. 23 letter is the confusion surrounding seller credits on the Closing Disclosure. Lenders and closing attorneys are struggling with whether to list seller credits as individual line items on the CD or to consolidate them and disclose them under a general “seller credits” heading. All of us in the industry should be appreciative of ALTA’s efforts to assist in this push for clarity. I urge South Carolina lawyers to join ALTA and to pay attention to and support its efforts in our behalf.